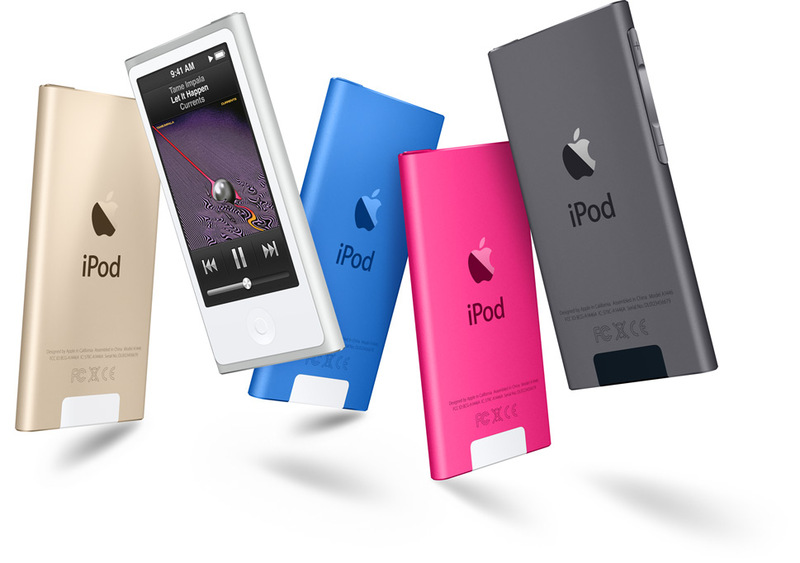 At 1.1 ounces light and 5.4 mm meager, iPod nano is intended to furnish hours of excitement with greatest compactness. The 2.5‑inch Multi‑Touch show gives you a chance to see a greater amount of the music, photographs, and recordings you adore. Catches let you rapidly play, delay, and change tunes or modify the volume. 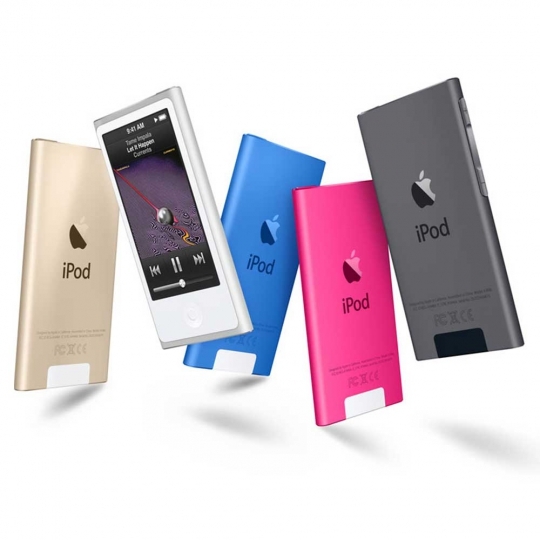 The smooth anodized aluminum outline makes iPod nano feel on a par with it sounds. 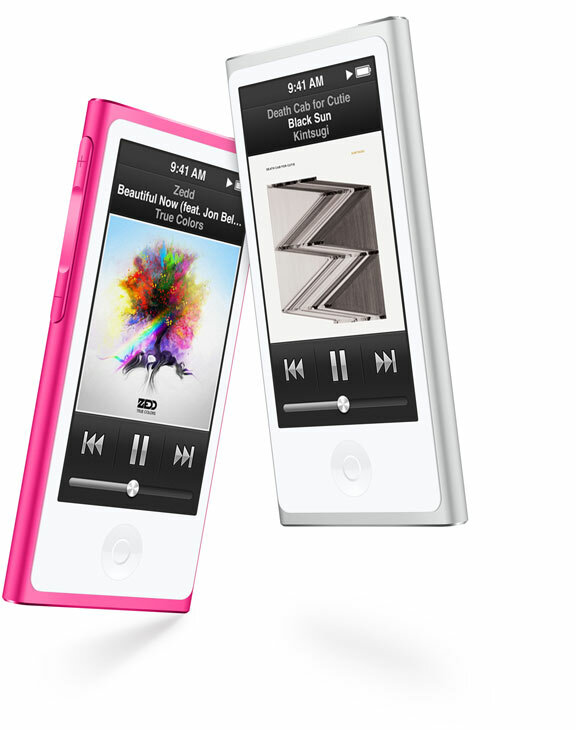 What's more, it wouldn't be iPod nano without a flawless choice of hues. 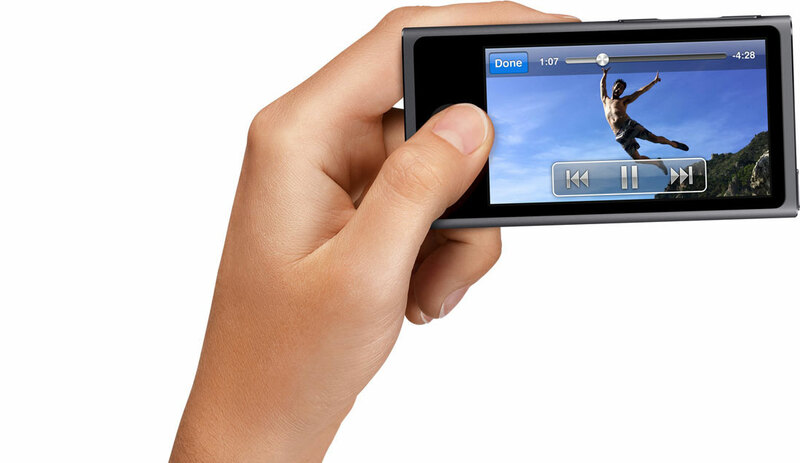 Watch scenes of your most loved TV appears, Hollywood blockbusters, free video podcasts, and home recordings on your iPod nano. View them on the widescreen 2.5‑inch Multi‑Touch show. Tap to play, fast‑forward, rewind, and delay. 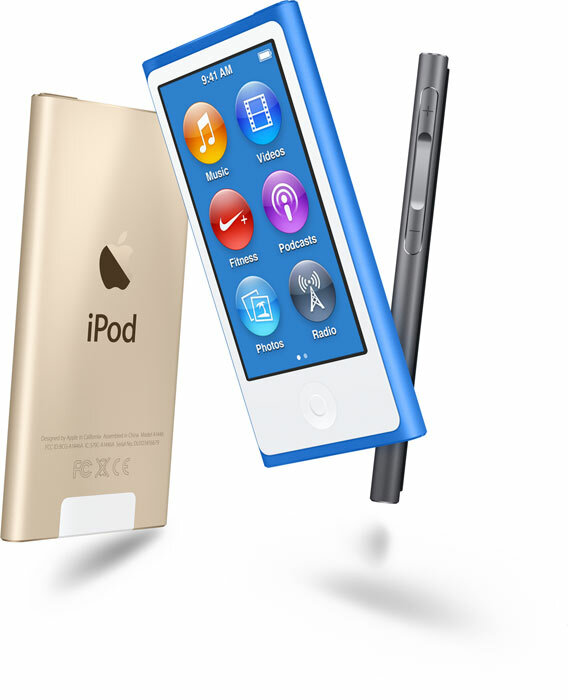 With iPod nano, you can have a little excitement at whatever point — and wherever — you need. Matching iPod nano with Bluetooth-empowered earphones and upheld speakers is a snap. What's more, if your auto's sound framework is Bluetooth empowered, when you take a seat in the driver's seat, your iPod nano is prepared to get where you cleared out off. Without overlooking anything. FM radio keeps you up on what's happening out there — the diversion, the top news stories, your most loved television shows — whatever you cherish listening to. Simply flick the radio dial to change stations and tap to set your top choices. What's more, with Live Pause, you won't miss a moment. iTunes is the simplest approach to fill your iPod nano with music, motion pictures, TV appears, book recordings, podcasts, and the sky is the limit from there. Simply purchase from the iTunes Store on your Mac or PC. At that point make your own particular playlists, make Genius playlists, pick Genius Mixes, and synchronize it all to your iPod nano.